RELAX IN YOUR OWN TROPICAL PARADISE! What we don’t know about Maldives Holidays simply isn’t worth knowing. The flights, the accommodation, the diving, snorkelling, water sports, , beaches, restaurants, food…call us today and test our extensive knowledge of The Maldives. Over £2 million per day buying power plus 100% financial protection. We are Mainly Maldives from Not Just Travel – and whats our difference? Simply put its our attention personal service. You are important to us so we have no call centres, you will deal with the same person every time you contact us 24/7 you will experience unrivalled personal service, we even give our mobile numbers. And the best part All this Personal service is FREE to you. We are the only company to offer the largest choice of Maldives Holidays. We can offer you more than a conventional website, a larger range of resort options, a larger range of flight options. Travelling to The Maldives: We are able to pick the best flight times, departure airport and airline to meet your exact requirements. Chose from Economy, through to Premium Economy, Business Class and of course First Class. Honeymoons: Let us help you to organise the honeymoon of your dreams. We can arrange it all for you. Let us take the headache out of the arrangements. All our advice is completely impartial, we want to make it perfect for you and its free! 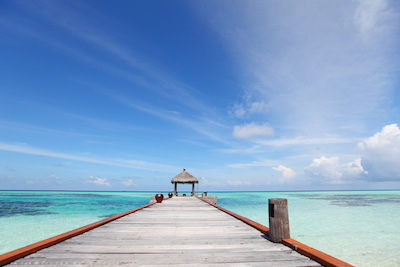 Luxury Maldives: Enjoy the Paradise that is The Maldives in 5 star style. 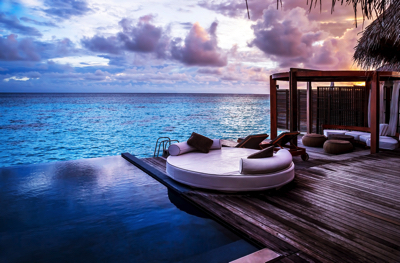 We can help you to choose between some of the best 5 star hotels in The Maldives. 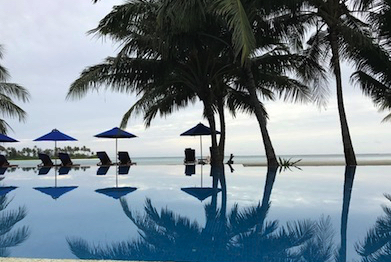 As you would expect, our focus is mainly Maldives which means we know all the best hotels, best deals and can answer all of your questions about The Maldives. The Mainly Maldives team are experts in anything Maldives. We have a passion for The Maldives and we travel to there regularly. Wouldn’t you rather book your next holiday with someone who knows what they are talking about first hand? Maldives is a very small and very popular destination, it is a group of islands with very limited availability. The best islands and resorts regularly sell out so make sure you book early. Book your Maldives holiday early for the best prices. We have availability so ask us for pricing today. Take Not Just Travel’s Mainly Maldives for a test drive today! We cannot thank Mainly Maldives enough for organising our recent trip to the Maldives. It was our golden wedding anniversary whilst we were there and it couldn’t have been more perfect. We were surprised and blown away when the hotel manager offered us a free on the beach dinner on the night of our anniversary so thank you, thank you, thank you!